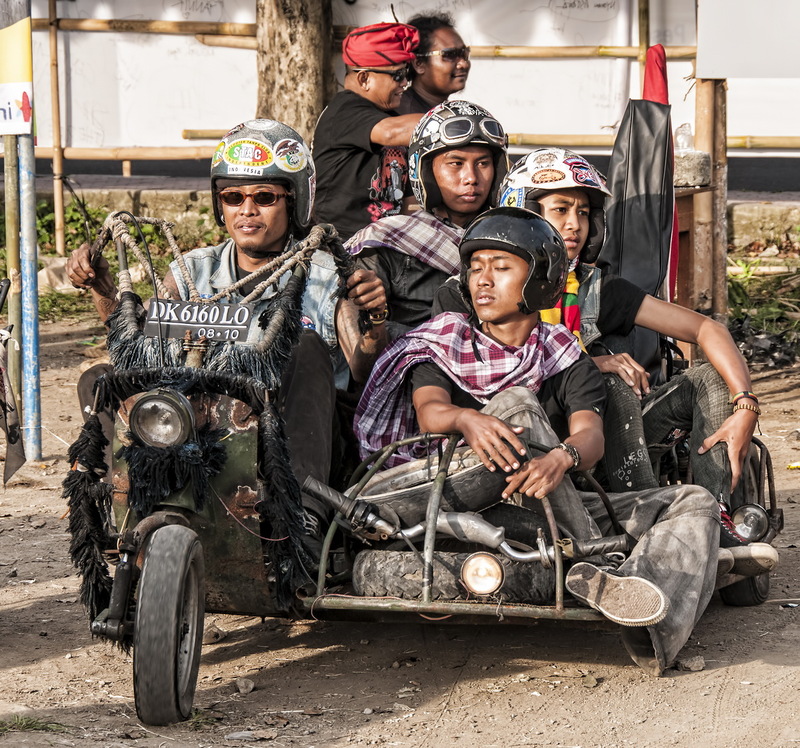 We were in Ubud for our annual Xmas sojourn in Bali and completely unaware that the football field in the center of town was the venue for “A Celebration of Indonesian Scooter Culture”. Hosted by Bali’s Dewata Scooter Club, more than 2000 Vespas ultimately turned up for the event. But it was the feral scooters and their riders that caught the eye. Anybody who has spent any time in Indonesia will be well aware of the people’s ability to make the most of what they have. On my travels through the archipelago I have seen many examples of that… Mechanical contraptions crafted from a variety of parts salvaged from the scrap yard. But the feral Vespa’s are in a class of their own. 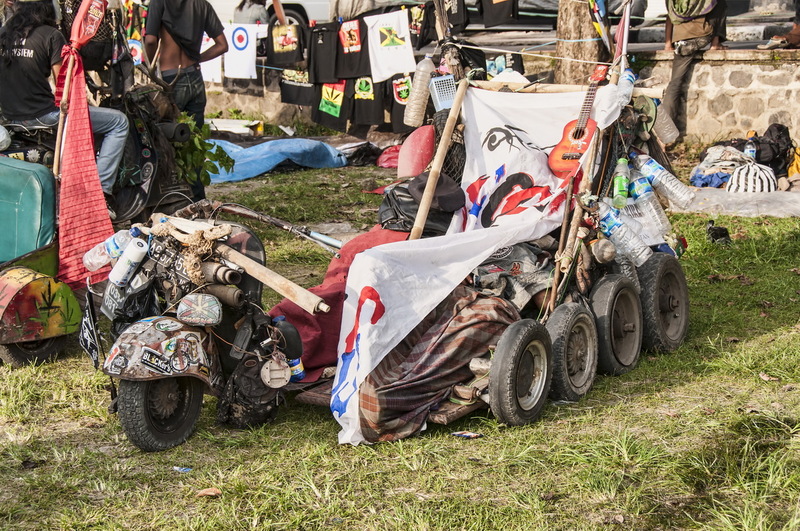 The basic theme for the ferals seemed to be create the weirdest form of two and three (or more…) wheeled transport possible. Load it with as many “scooterististas” that can squeeze aboard. 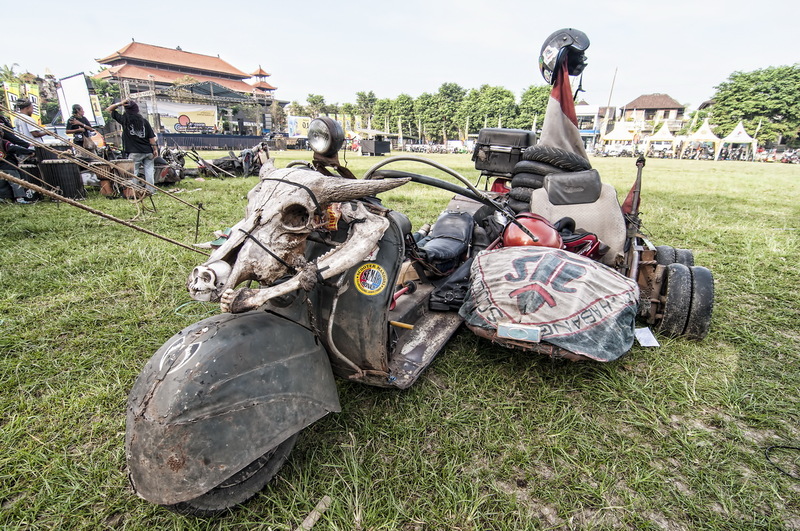 And then ride it from as far away as possible to attend the rally in Ubud. 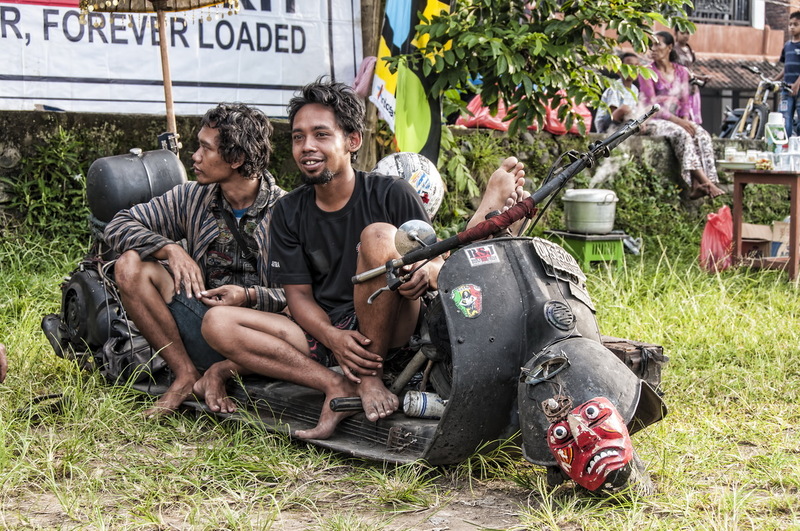 An Indonesian feral scooteristista appears to be a cross between a hippie, a bikie and a rastafarian. Age does not seem to be a barrier as the oldest scooterist I spoke to was 71 year old Rusno. 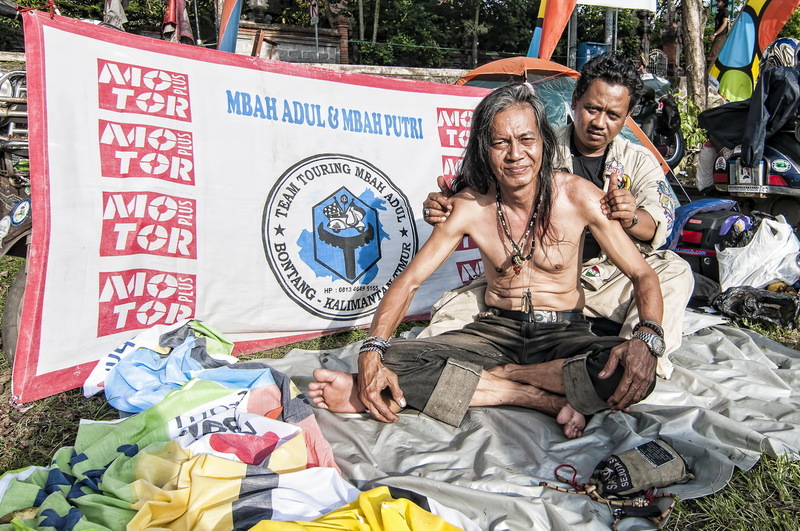 Who together his mate, 65 year old Kohir, Rusno had ridden their feral Vespas from Balikpapan in Kalimantan! Wandering round the football field and talking to the scooterististas was an interesting experience. Because despite the wild look of the ferals, they all responded to my request to take photographs politely and positively and seemed to relish the attention.